NSW: Q&A Strata Obliged to Supply a Common Area Water Tap? 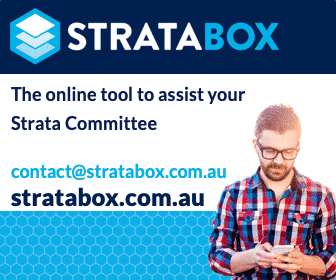 You are here: Home / Maintenance & Common Property / Common Property NSW / NSW: Q&A Strata Obliged to Supply a Common Area Water Tap? An NSW Lot Owner is wondering whether strata is required to supply a common area tap for the use of residents. Leanne Habib, Premium Strata provides the following response. Question: In NSW is there is an obligation for the strata to provide a common area water tap / garden tap for use of residents for garden watering and car washing? Just wondering if in NSW there is an obligation for the strata to provide a common area water tap / garden tap for use of residents for garden watering and carwashing etc? If there is an obligation for this to be provided, can the strata committee legally enforce the usage by placing a lock on the tap? Our gardens have been getting overwatered causing retaining wall damage and cars have been getting washed causing greasy runoff etc. Answer: No, the strata manager is not authorised to act as “debt” collector. Write to the strata manager and ask them for the legal basis upon which they are entitled to on-charge their costs. There is no general obligation to install a common area tap to which you refer, however, the owners corporation is free to do so by special resolution if it wishes. This would be an improvement or enhancement of the common property pursuant to Section 108 of the new strata legislation. Once installed, the owners corporation may restrict use of the tap. This post appears in Strata News #215.